Look at your circle of high school friends. Soon enough, you will all be heading off to your respective colleges, many of which will seem quite similar on the surface. But remember this: each one of you will each walk away from your college years with an experience as unique as your fingerprint. Though they may be alike in many ways, every college offers its own distinctive collection of experiences based on its educational mission and, quite simply, its unique make-up of people. So as you consider colleges, each one has its own personality, how do you narrow the list of 4,000 schools down to a few that you want to explore further? One effective way to discover which college might work for you is through college visits. You get to see a school for what it really is. While exploring the campus buildings, classrooms, cafeteria, and residential halls, you will see and hear unfiltered, authentic conversations and witness real-time interactions. This will inform your opinion of a school. It’s firsthand information—and unbiased. You are the author of your own experience. Would you rather rely on secondhand information or discover for yourself what learning and life is like at a particular college? Exploring campuses allows you to do the latter. In short, there is no better way to get to know a college and what your life there would be like than through a campus visit. You’ll see firsthand if the school will lead you through a collection of experiences that will enhance your life in a fashion that most appeals to you. 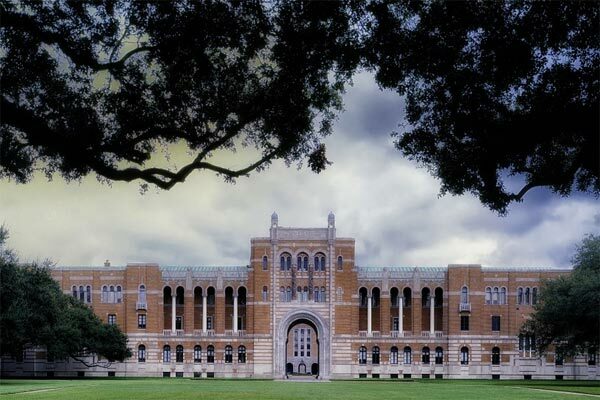 And though you can (and should) use websites, magazines, student reviews, and more to learn about your potential colleges, no other experience can replicate being on a campus in person. Your first college visit is arguably the hardest. First, you need to figure out the logistics: Do you want to do a tour, interview, and/or information session? Do you want to visit on a weekday or weekend, during the school year, or over your vacation? How are you going to get there? Be sure to talk to admission counselors if you need help planning—or even paying. Once you’ve answered these questions, you can actually register online or via phone. Of course, once the details are in place and your visit is booked, you can just show up and spend an hour or two walking around campus…right? Nope, not at all. You need to prepare. Heavy question, right? But think about it: do you behave in the same way that you did your first year in high school? My gut says no. You probably navigate the high school hallways with a level of confidence and familiarity that has grown within you over the last few years. You’ve incorporated new information from classes that has led to a broader understanding of science, foreign language, culture, and more. This too will happen at college. When all four years have passed, who will you have become? Different colleges—and their campus environments—will grow you in different ways. How do you want to interact with your classmates outside of the classroom? College social experiences are more complex than determining whether or not you want a “party school.” For me, some of the most valuable and formative college experiences took place at 2:16 am in the study lounge when I found myself completely absorbed in a conversation with someone I just met. These meetings turned into deep friendships. Does this appeal to you? Do you want adventures off campus? If so, what type of adventure? A semester in Tanzania, a job at Betsy’s Pizza Shop, an internship with the public defender: these are all examples of common college adventures. Based on campus resources and institutional priorities, engaging in these adventures might be more difficult or easy, supported or frowned upon. But, on your campus visits, don’t simply ask whether or not you can study in Tanzania; ask how the process is facilitated, how many students take advantage, at what point in their college career does it occur, and if the school makes off-campus study a priority. And if your kind of adventure is not in great supply, ask what types of adventure are. As I mentioned earlier, there are a variety of activities in which you can participate during your college visit. With each activity you can glean information that will help you determine if a school will fulfill your needs as demonstrated by the responses to the questions below. You’ll suspect that the goal of marching around campus is to get to know the campus. But I suggest it’s the best way to understand how the community works. Tour guides can illustrate the behavior or personality of the college by describing how the community functions. From this, you can determine how you will interact with your classmates. Also keep in mind every campus tour guide is different, and they may—or may not—be a good representation of a typical student at the school. Interact with several current students to develop a more accurate sense of the campus personality. This is a great way to determine who you will become as a senior. How? College will provide you experiences that can lead you in a variety of directions; the information session is intended to illustrate the paths offered. During your information sessions, ask pointed questions about what paths students take, their outcomes, and how the college supports them along the way. As with the information session, this time with a campus representative gives you a more personal illustration of opportunities that will seed your personal development. Also, if you’re anxious about a certain aspect of the college you are visiting, now is the time to ask and get an authentic answer. Also important to note: in many cases, the campus visit interview is both informational and evaluative. That means it can be added to your file and used in admission decisions. Use the interview to highlight your successes, preferences, interest in joining this specific college community, and why you are a good candidate for admission. If you have an opportunity to interact with a college or university faculty member, you’ve just hit the homerun of college visits. It’s an invaluable opportunity to discover their teaching style. Remember, it’s not just who you like; consider class content and the style of teaching. Ask them questions such as, How do you teach? What about your teaching style is indicative of faculty at this college? What will I be able to do my senior year of college that I can’t do now? The overnight visit is undeniably the single best way to determine if the students are your people. During this experience you’ll eat together, hang out, walk around campus, and get a truly unfiltered view of the campus. The school will reveal itself to you in a way that a walk across campus simply can’t provide. During your overnight visit, ask whatever questions come to mind. Observe how students interact with each other, but dismiss the extremes and focus on the middle 80% of your experience. When you awake the next morning, if you love the school—awesome. If you don’t love it—also awesome. Either way, it has been a valuable experience that has helped you determine if this is the place you should be for four years. You can think about every college in three key ways: the academic experience, the social atmosphere, and the school’s ethos. Consider more than the list of majors but a school’s pedagogy, the faculty approach to teaching/teaching style. They may have your major, but how do they approach it? For example, if you’re thinking about studying psychology, some schools categorize psych as a science, others as a social science, and the pedagogical approaches will differ significantly. Imagine the college as a person. Are they driven? Laid back? Spirited? Political? Outgoing? Artistic? Then ask yourself if you would hang out with that person. Remember, college isn’t simply classes and homework. The extracurricular activities and opportunities for social expression on a college campus are as diverse as fingerprints. Consider your gut reaction to the campus. Do you feel welcomed and comfortably challenged? When you walk away from campus, explore your sense of self. You’ll find the experience enlightening. Colleges tend to have many traditions and activities that illustrate the community ethos or spirit. If University XYZ is home to the largest quiz bowl in the nation, you may have found your fellow trivia geeks. If ABC College espouses an honor code that governs community conduct (much like my school, Reed College), you may have found the principled, independent scholars you’ve been looking for. Observe these traits while you’re visiting campus, and if each is offered in a way that appeals to you, you may have found the place where you should be for four years. I wish you the best in your college search.